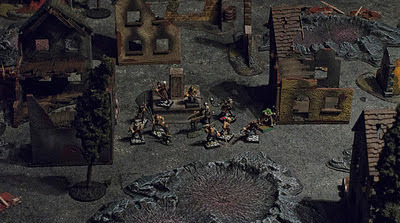 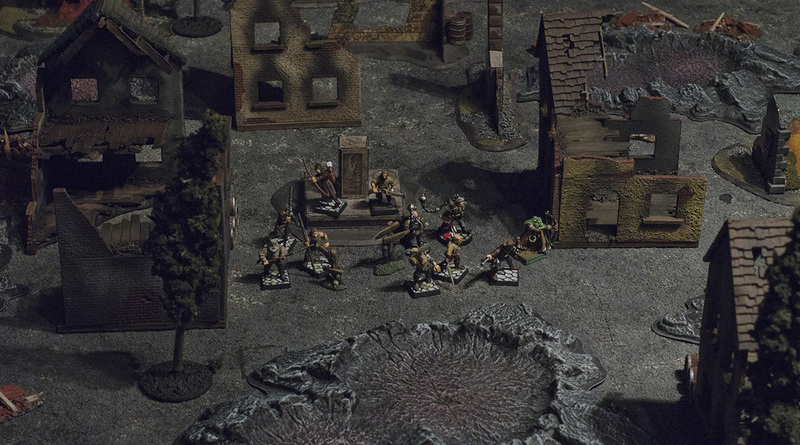 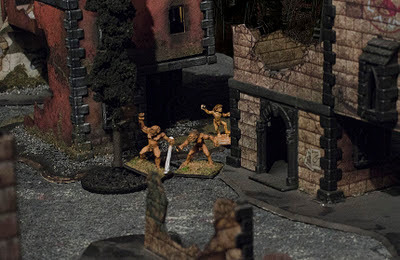 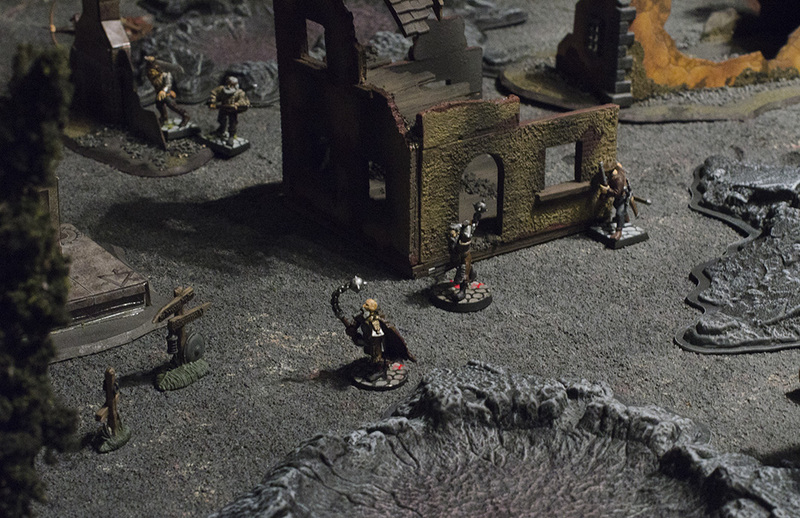 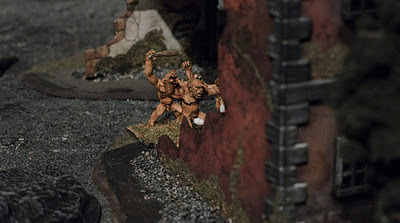 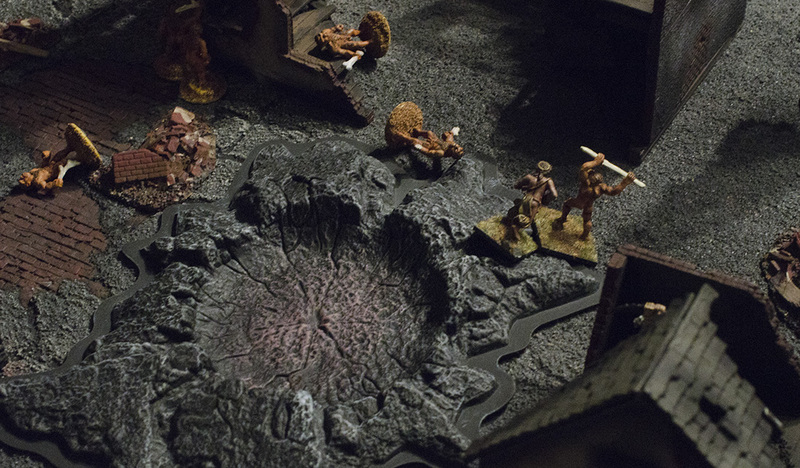 Cameron's Tiny Little Men: Mordheim: Back to the front! 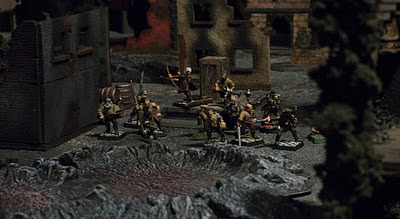 The game we most often play when I go home to the frozen north is Mordheim. It's easy, fun, looks good, and there are a million options for everything. 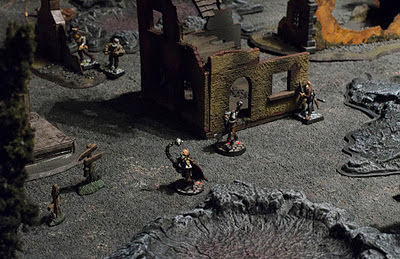 My regular game group here in Burnaby have recently (re)-discovered Mordheim and we have had a few games recently. 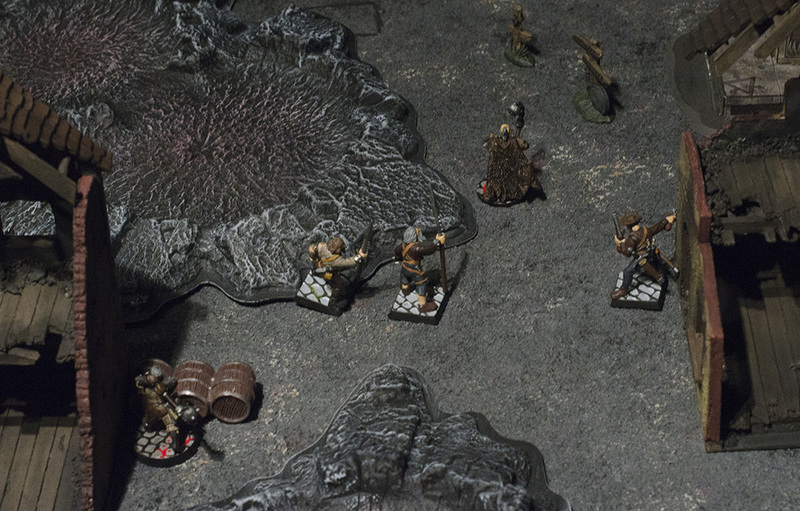 Here are some photos of my Marienberger mercenaries facing off against Bryan's cavemen. 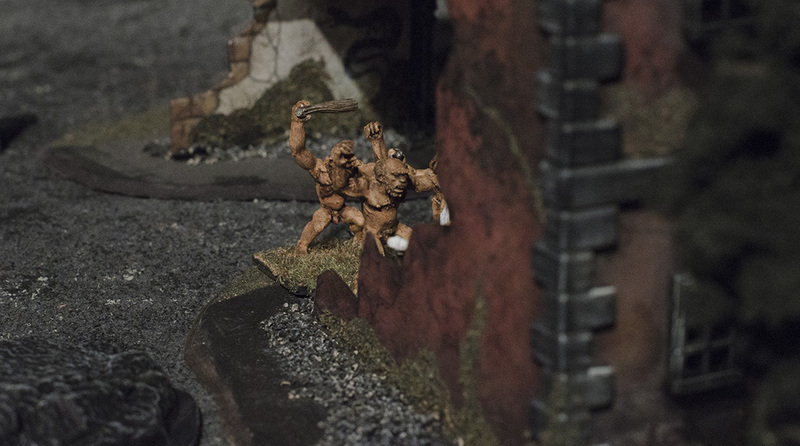 The Marienbergers had a fairly easy time with the cavemen, due to some imbalance in the army lists and Bryan's newness to the system.